Watczak Reporting provides court reporting services anywhere in the country for depositions, conventions, public hearings, arbitrations, board meetings, courtroom proceedings, and statements under oath. We are a full-service freelance court reporting agency based in Duluth, Minnesota with connections in the service field throughout the country. Any time it's critical to have the spoken word transcribed onto paper, we can take care of your needs. When you're hiring a court reporter, enthusiasm, reliability and experience are the qualities that make a difference. We enjoy our work, we'll be your reporter wherever and whenever you need us, and we'll bring with us our combined experience of over one hundred years in court reporting. 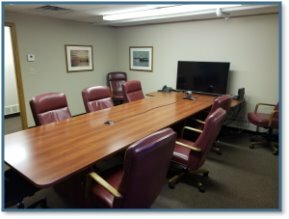 Videoconferencing available from Videoconferencing Duluth. Contact us and let us show you what makes us different.